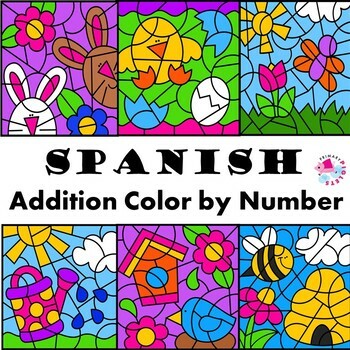 This Color by Number Addition Facts Spring Set in Spanish is a great way to celebrate SPRING! 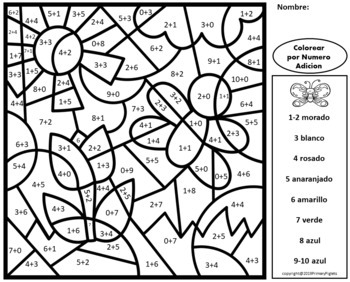 Color by Number pages are highly engaging, and ENGAGED students are a teacher's dream! 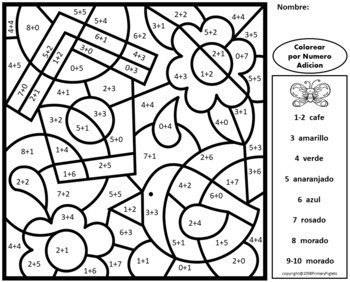 Give them some much needed ADDITION practice while enjoying the CALM & FUN of coloring in mosaic picture. 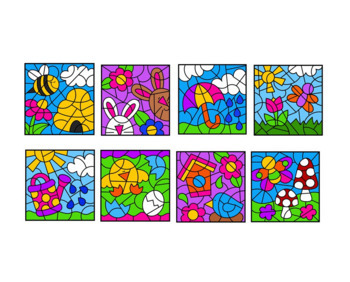 This set includes 8 different Color by Number SPRING themed pages. There are 4 pages coded with ADDITION FACTS Sums to 10. and 4 pages coded with ADDITION FACTS Sums 10-20. The pages are written in Spanish. See preview. Color coded answer keys included.